Has completing a thru hike been on your bucket list, but don’t have the time or resources to spend six months on AT? If you’re a New Englander, there are 8 trails you can hike end-to-end that takes the average person 19 days or less (some of these are much less!) to complete. Whether it be a lack of vacation time, funds, or you know- daily responsibilities stopping you, you’ll want to check out these trails you can walk every inch of! The Long Trail runs the entire north to south distance of Vermont from the Canadian border to the Massachusetts border covering 272 miles. The Long Trail is the oldest marked long distance trail in the United States. The Long Trail goes over all 5 Vermont 4000-footers if you are working on the New England 67 list and overlaps with the Appalachian Trail for 100 miles if you have a goal to section hike the AT! The New England Trail (AKA the New England National Scenic Trail) extends 215 miles through 39 communities in Connecticut and Massachusetts. There’s limited data on this trail so planning is part of the adventure! Hiked it end-to-end? We’d love to hear how it went for you! The Cohos Trail runs about 170 miles through northern New Hampshire from Crawford Notch to the Canadian border in Pittsburg, NH. In the last few years extensive work has been completed on and for the trail including multiple lean-tos, signage, and a new guidebook and map. The Midstate Trail (not to be confused with Pennsylvania’s Midstate Trail) spans 92 miles in Massachusetts through Worcester County from the Rhode Island border to the New Hampshire border. The trail includes the summits of Mount Wachusett and Mount Watatic, as well as many interesting geologic, historic, and natural features. Due to its gentle terrain, this trail can certainly be completed in less than a week. The Monadnock-Sunapee Greenway runs 48 miles through southern New Hampshire from Mount Monadnock in Jaffrey to Mount Sunapee in Newbury. There is some great variety on this trail and would make a perfect practice hike before a longer trek or first time backpacking trip. The Wapack Trail is a 21.5-mile hiking trail that runs from Mt. Watatic in Ashburnham, Mass., to North Pack Monadnock in Greenfield, N.H. 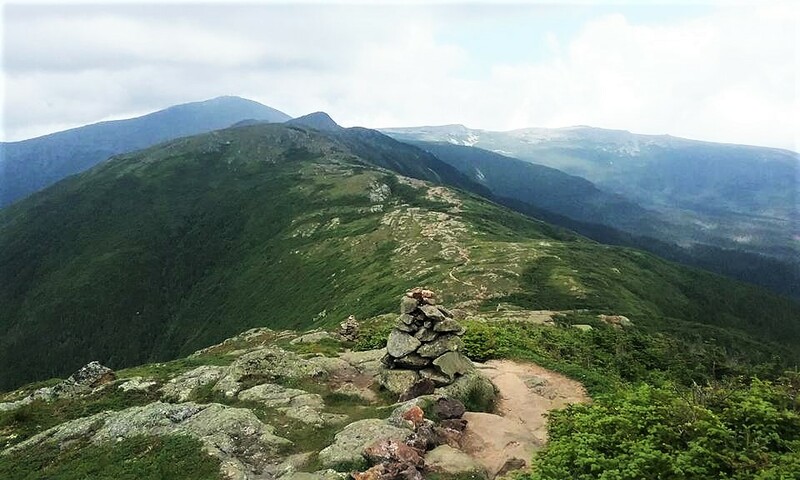 The trail features over a half-dozen small mountains, none taller than 2,300 feet with fine views of Boston to the hills of Vermont. You can connect with the Midstate Trail in Massachusetts at the southern end. Fit and ambitious hikers can complete this hike in a day and most can tackle it in two. There is no camping along the trail, except for the halfway point where you can reserve a spot at the shelter or tenting areas. Have you hiked any of these trails end-to-end? We’d love to hear your experience! Leave a comment below and let us know which of these you plan to hike! Looking for at a week long hike with my sone the end of May early June.